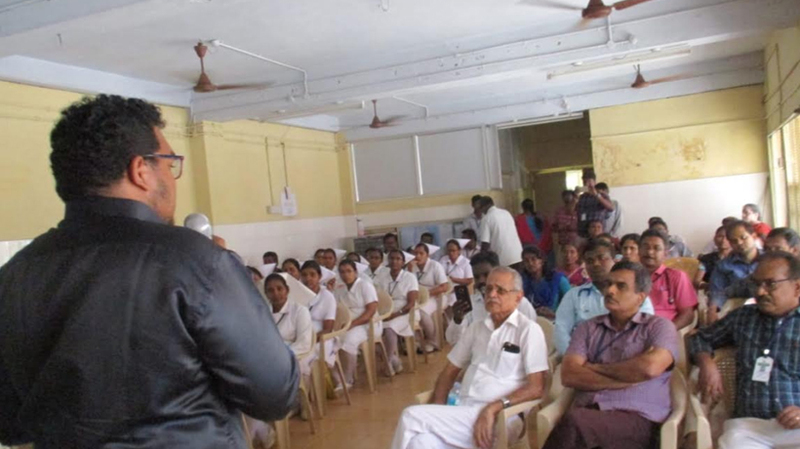 A Workshop on “Hospice and Palliative Care”was conducted by the Government Hospital Mettupalayam , in collaboration with DEAN Foundation, Karamadai, recently. The meeting was chaired by Dr. Seralathan, the Chief Medical Officer of the Hospital. Dr. Ramachandran, a Paediatrician, a former Air Force officia and now a Volunteer of DEAN Foundation, spoke about the speciality of Palliative Care. He said that the WHO had deemed this as a speciality in 1986. He stressed that it was vital that patients were referred to a Palliative care team, early enough, after the diagnosis of a serious illness, in order to help the patient and family better, and prevent suffering. Dr Jayaraman said that the aim of End of Life Care should be neither to extend the dying process, nor to shorten the life of the individuals but to help them die with dignity and without or little pain and suffering. Mr Andrew and Dr Naveen – both staff of DEAN Foundation, spoke about the work of the project Anugraha that has been in since 7 May 2017 and that 507 patients had been under their care since then. Currently 171 patients in various parts of the Karamadi Block, are being provided home based care. Through SBI Mumbai Foundation’s Project Anugraha, DEAN Foundation’s medical team provides Home Based Palliative Care services at the doorstep of not only for the patients suffering from serious, critical illness, but also for the fragile elderly, and the bed-ridden in 17 panchayats. The volunteers serve even the tribals of the far flung Pillur Dam – Nellithurai and Kemarampalayam panchayats. Dr. Seralathan, appreciated the work of DEAN Foundation and assured all possible support to the organization that reaches the unreachable to mitigate the sufferings of the rural poor and marginalized, free of charge.